TouchChinese will teach Chinese courses of language that are tailor made for your employees of your corporation. Whether they are working from the office or home, the courses can be learned from anywhere. Expats from around the globe has used our services. Whether you are a beginner learning Chinese like an intern or you want to take an advanced course as a CEO or CFO, you can be successful using one of our tailored made language programs. 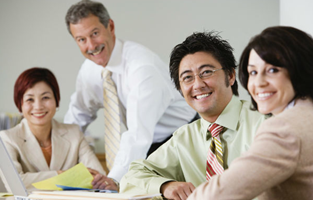 When you offer your employees our Mandarin Chinese language course, it will be beneficial to your company. Your company will integrate with Chinese culture and how to social in the Chinese business culture. What Does the TouchChinese Corporate Training Consist Of? We quote the price of the language training course based on your corporate needs. As no company is the same as the other, no two pricing quotes will be the same. It is not a one size fits all. It is geared towards your business, whether it is for group or one on one training. Our prices are very competitive and budget friendly. TouchChinese will accept many forms of payment for the course. A money transfer, bank deposit, or using your corporate credit card are a few ways to pay. This will be discussed with one of our representatives along with other options. TouchChinese offers Corporate Clients a free training trial in order to test drive what our services can do for your organization. This trial will give you a sample of the quality of the services that TouchChinese can offer. Sample lessons which focus on vocabulary building, grammar usage, descriptions, fluency, comprehension, reading and listening are available upon request. When the free trial is completed, an assessment is given to the individual to show what recommendations are needed to further their studies while providing an overview of their abilities they have learned. Anything can be modified for your needs at request. Please take the time to contact us (service@touchchinese.com) for further information about a free corporate trial for your company. A representative will contact you within 24 hours to setup training with your organization.